Critics have branded the product an ‘abomination’ saying it teaches young ‘girls of colour’ to be ashamed of their skin. 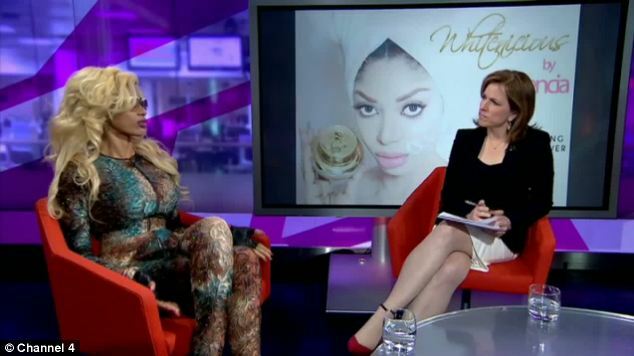 In an interview with Channel 4, Dancia was asked whether she thought the message behind the product was that being white looked better than being black. She replied: ‘I was not selling that message, the media are selling that message. I didn’t say, buy the cream and look like Dancia. ‘I said seven day, fast acting dark spot remover. It’s called reading comprehension. If people missed that class then it’s not my fault. ‘If they think that their whole body is a dark spot then fine, because that’s not how I feel.’ Among Dancia’s critics is oscar-winning actress Lupita Nyong’o who spoke out against racism in beauty and fashion and warned young black girls not to use bleaching products. Nyong’o, star of 12 Years A Slave, admitted that when she was younger she wanted to wake up ‘just a little bit lighter’, because she was ashamed of her dark skin. “Mentacide” is a worldwide phenomena being implemented against the entire Black race. 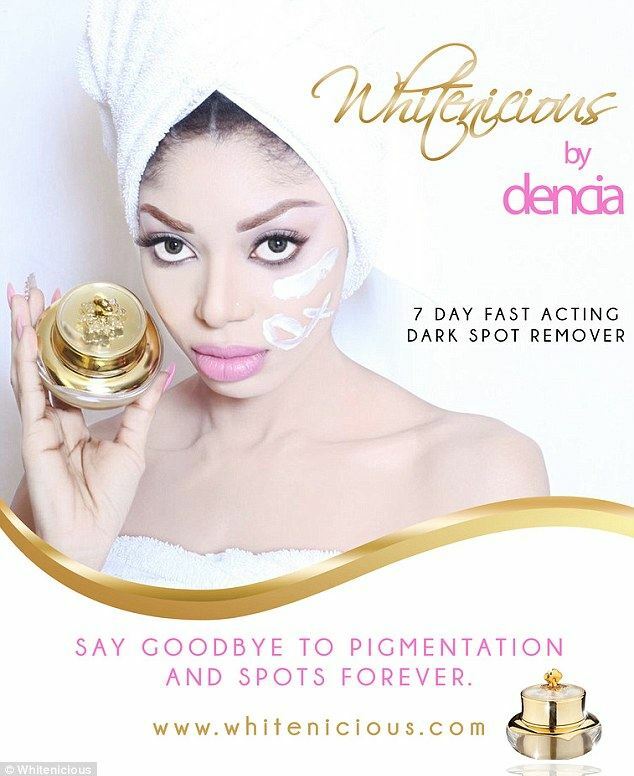 Dencia is getting into spotlight with the controversy of Whitenicious but I am truly satisfied really this brightening cream works well for your skin.